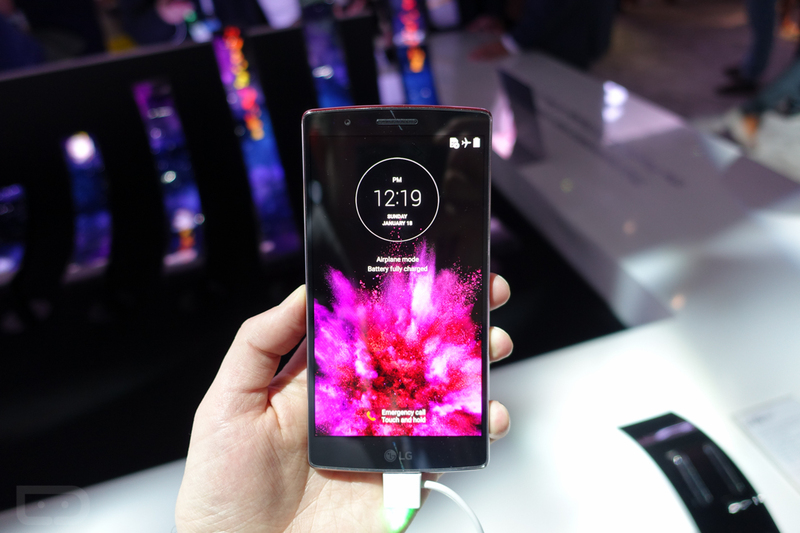 The LG G Flex 2 arrives January 30! In Korea. I would imagine that it will be in the US at AT&T, Sprint, and US Cellular before long (Sprint told us Q1), but any sort of arrival in another country means we are closer than ever. As a recap, the LG G Flex 2 sports a curved 5.5-inch P-OLED display with a resolution of 1080p, Snapdragon 810 64-bit processor, 13MP camera with OIS+ and Laser Auto Focus, 2/3GB RAM depending on model, self-healing back, and Android 5.0 “Lollipop.” This phone was the star of CES on a mobile front. Tim and I spent some time with it (video below) and really liked the phone for the most part. That curve just feels so good in hand, even if we can’t come up with a real reason for needing it. The G Flex 2 will retail for ₩ 800,000, which converts to around $740. Curious how many are genuinely interested in this phone or if you are waiting for whatever HTC and Samsung have in store?